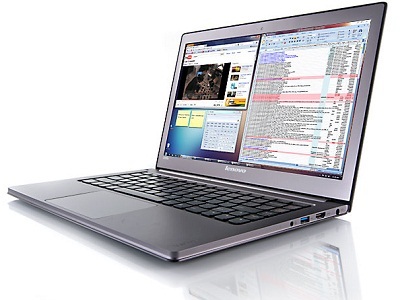 If 2010 was the year of the Netbook and 2011 the year of the Tablet, then 2012 is set to be the year of the Ultrabook â€“ a device that works like a laptop, but is half the size. That was the overwhelming message from 2011â€™s final SHIFT event â€“ SHIFT Ultra, a young adult speaker series hosted by Intel and Lenovo, and headlined by popular radio and television personality Gareth Cliff. Analysts predict that fully 40 percent of all laptops sold by the end of 2012 will be Ultrabooks such as the Lenovo IdeaPad U300s which took centre stage with Cliff at SHIFT Ultra â€“ and judging by the reactions of Cliff and the 200-strong audience, their forecasts will be spot on. The undoubtedly aspirational nature of the Ultrabook fitted neatly with the theme of the final SHIFT event in a series of highly popular events, which have become a popular platform for young, tech-savvy adults to discuss trends and issues with a range of speakers since being launched earlier this year. Cliffâ€™s message of inspiration and aspiration to mould yourself into the best being you can be struck a chord with the audience as this time of the year is often used to reflect on a busy year and to envision what the year ahead may bring. Apart from its super-sleek appearance and high-end response times, Intel believes the Ultrabook will come into its own with the youth market by giving users what they are used to on a laptop or desktop: a keyboard, mouse and the ability to ‘create’ with greater ease, unlike other mobile devices, which are mainly used for consumption. Vasram believes that going forward, the evolution of the laptop and tablet alike will undeniably depend on the userâ€™s need. This will divide users into different categories â€“ those who use their technology devices for pure consumption, and those using them for creation. ‘The developments of the past few years have shown us clearly that people love smaller and more convenient devices â€“ but thereâ€™s a growing realisation that they still want their technology to help them get things done, to be more productive, and to learn and advance themselves,’ said Vasram. It is expected that at least 50 different models of Ultrabook will debut at the Consumer Electronic Show (CES) in the US early next year. ‘The fact that so many companies are getting ready to enter the Ultrabook space certainly means competitive prices for the consumer next year,’ says Vasram.